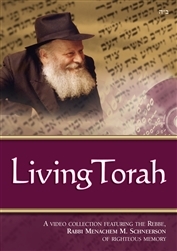 Jewish Educational Media plans to release 4-5 Farbrengens this year. 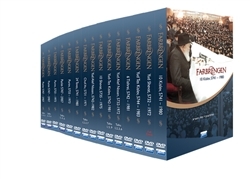 Save 10% and receive FREE SHIPPING* every time a new Farbrengen video is released. JEMClub members automatically receive all new JEM videos, as soon as they are released, at a 10% discount plus FREE US SHIPPING*. RISK FREE return option: If you receive a video that you don't want just send it back and we'll refund your full purchase price minus $3 to cover our shipping costs (International: $5). Several times a year JEM releases a new or significantly updated product. When you join JEMClub, we will automatically charge the discounted JEMClub price to the credit card you have on file and send your new video, with free delivery, to the shipping address you specify when you join. Once you join JEMClub just sit back, relax and know that you will be getting the best possible price on all new releases from JEM, automatically! Certain products are excluded, such as Living Torah, and will be marked accordingly on JemStore.com. **International members pay a reduced shipping rate of only $5.